Internationalised versions – English, German, French, Italian, and Spanish for users in Western Europe. New international reverse geocoding – Users can now find international addresses with reverse geocoding, which is now available anywhere Virtual Earth has routing. Extended parsing capabilities – Users can expect better match rates for addresses in Australia, New Zealand, Canada, and Puerto Rico. Pushpin clustering – The new map control includes the ability to zoom in on a map to better visualize a cluster of points. New landmark hints in routing – Customers in the U.S. and Canada can now use maps that feature familiar landmarks, such as gas stations and fast-food restaurants, called out by name. New imagery metadata – Users can now find out the relative age of a given image, which will help them assess if the imagery is still relevant to their needs. New one-click directions – Through the Web Services, customers can now get directions in one click, choosing from route options by shortest time, shortest distance, or traffic flow. 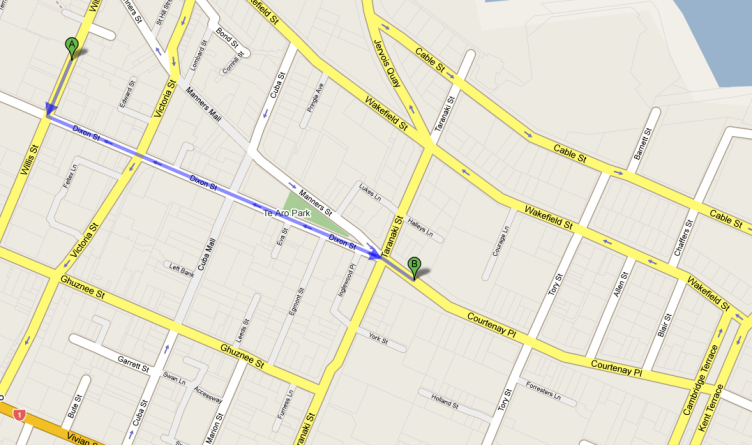 What’s of interest to ProjectX is the reverse geocoding and landmark directions. The landmark routing is a step in the right direction. Navigation by landmark is a very common way that we explain directions to people. Its nice to see that Micorsoft is lifting the bar. We use a lot a reverse geocoding and it’ll be interesting to see how comprehensive it is and how fast the webservice is. We’re working with Zawadzki Limited to bring a high level seminar on “Using Google Maps”. The seminar is in Wellington on Friday 26th September 8:30am to 10:30am. The event is free, but you will need to register for the event. This will ensure that current_user.locations.find_with_xapian will find the correct number of locations, enabling us to work with pagination, etc. What’s left to do is to get the Search object out so that we can get matches_estimated out. I’ll leave out for next time. This post was brought to you from Software Freedom Day, New Zealand. Jakob Nielsen has just written an article on location finders. The article outlines some behaviour changes of users in finding locations over the years. It’s still striking that 73% of users went to a search engine (mainly Google) when we asked them to find a nearby location for a specific company. Only 13% went straight to that company’s own website, while the remaining 13% went to a dedicated mapping service. Given this changing behavior, we now have guidelines for search engine optimization (SEO) for the locator. We’ve focused on making ZoomIn SEO friendly from day one so that businesses can be easily found. We constantly tune our system to ensure that we’re at the top the list for a result. This re-inforces the need for businesses to make sure that their locations are being “found”, using ZoomIn is a good way to make sure that happens! Donkey Kong source code found…. 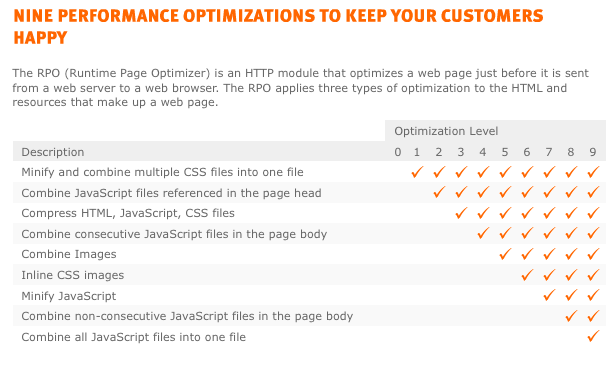 Runtime Page Optimiser (RPO) is now out of beta, the team from www.actionthis.com have release the automagic web optimisation tool for IIS based sites. RPO is certified for ASP.NET 2.0 and MOSS/SharePoint 2007 intranet and internet sites. But wait there’s still more, the team are going to release shortly an online webpage optimisation report tool based on AOL Page test. Congrats to the ActionThis team and I’m looking forward for future improvements. ProjectX moved to Level 3 Symes De Silva House. We’re sharing the space with Plan HQ and the heart of Silicon Welly. We use xapian as our offline indexing solution here at ProjectX. Recently, Francis Irving from mySociety has started a fantastic Rails plugin, acts_as_xapian. I’ll leave the introductions to the aforementioned pages. Suffice to say that it is quite easy to install, and it utilizes all the power of Xapian in a very smooth way. One thing I have not been able to crack is to utilize association proxies on searches. Locomotivation has a solution using named_scope, but that approach removes all ordering, in addition to issuing one more unnecessary SQL statement. That would automatically scope and return lessons that belong to the current user only. Awesome!